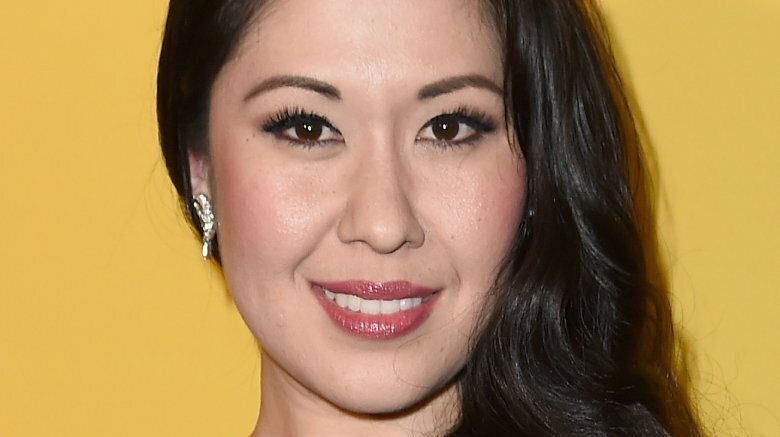 Broadway star Ruthie Ann Miles is mourning the loss of her unborn child. According to the NY Daily News, the Tony winner has lost her baby girl, who was expected to be born this month, after being involved in a fatal car accident earlier this year. "At the time of the crash Ruthie was pregnant and was severely injured. This past Friday Ruthie and Jonathan lost their baby, Sophia Rosemary Wong Blumenstein," her lawyer, Ben Rubinowitz, released in a statement, noting that Miles was 39 weeks pregnant. "The pain suffered by Ruthie and Jonathan is nearly impossible to fathom." After the news broke, members of the Broadway community took to social media to offer their condolences. "All the love and light in the world to Ruthie Ann Miles. Unimaginable," Hamilton creator Lin-Manuel Miranda tweeted, while Keala Settle of The Greatest Showman wrote, "@ruthieannmiles I would truly give anything," alongside broken heart and crying face emojis. As Nicki Swift previously reported, Miles and her 4-year-old daughter, Abigail, as well as her friend Lauren Lew and Lew's 1-year-old son, Joshua, were struck by a car while crossing the street in Brooklyn, N.Y. on March 5. At the time of the incident, the driver, 44-year-old Dorothy Bruns, had lost control of her vehicle and run a red light. While Miles and Lew were later said to be in stable condition and recovering at Methodist Hospital, Abigail and Joshua were tragically pronounced dead at the scene. Days later, a statement was shared on the 35-year-old actress' Twitter account. "Thank you for your prayers over our families and holding us in our pain," it read. "We are extremely grateful for your kindness and generosity. Ruthie is now out of the ICU and healing, by all accounts it is a miracle our second child is unharmed." The statement continued, "Please continue to pray for the Lew and the Blumenstein [Miles' legal last name] families as we process the unthinkable and lay our grief in the arms of Jesus. Joshua and Abigail are now resting in Heavenly peace and Joy." Miles is best known for her Tony Award-winning performance as Lady Thiang in the 2015 Broadway revival of The King and I. She was meant to reprise the role in London at the Palladium Theatre this summer. Our thoughts are with Miles, her husband, and their loved ones during this devastating time.